These 12 Unsolved Mysteries Will Give You The Creeps! The world has abounded and revelled in mysteries since time immemorial, with people always ready for another serving of yet another intriguing mystery. Granted, sometimes, aforementioned mysteries may make your blood run cold, but really, knowing about them seems worth it. That is why we have compiled the following list of 12 unsolved mysteries of the world. Some of these might be slightly gruesome and disturbing for your taste, but proceed if you will; you have been warned. The Zodiac Killer and his letters are one of the most intriguing mysteries that the world ever saw. Believed to have killed at least five people between 1968 and 1969, the killer – who even today remains unidentified – called himself “Zodiac”. His victims were from the vicinity of the San Fransisco Bay Area; after having killed them, he sent letters about the crimes to the police, as well as a local newspaper – letters which continued throughout the 1970s, and contained cryptic codes and ciphers. Of these ciphers sent to the police and newspapers, containing four encrypted messages, three of which remain unsolved till date; however, the one that was decoded produced some leads, all of which, unfortunately, led to a dead end. This is perhaps the most famous mystery out there which remains famously unsolved. 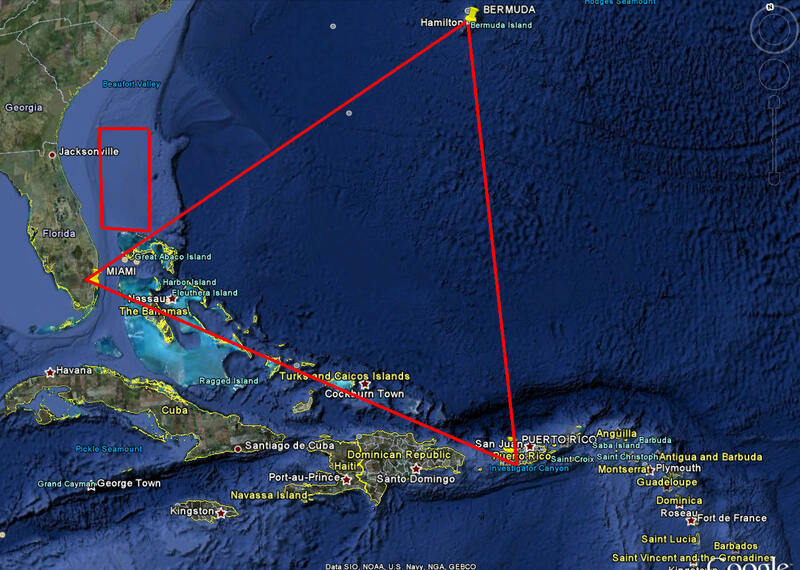 The Bermuda Triangle, located between Florida, Puerto Rico, and Bermuda, is an area of water that has caused, over the years, several ships and airplanes to disappear to god alone knows where; no traces of the disappeared vessels have been found, nor have any clues surfaced, thus giving the area its nickname of “The Devil’s Triangle”. In 1912, Polish-American antique bookseller Wilfrid M. Voynich – after whom the manuscript has been named – got his hands on a book 240 pages long, written in a script that no one had heard of, nor seen. The pages also abound in colourful pictures and diagrams of plant species and the likes, none of which seems even remotely familiar to the ones we have today. Carbon-dating put the dates of the pages between 1404 and 1438; the author, however, remains unknown. Like all unsolved mysteries, this one too, has explanations pouring in: it is speculated that the book could be addressing topics in medicine; other claims say that it could have been an alchemist’s textbook; the astronomical origins of some of the diagrams have also led people to speculate that the book might be of alien origin. The Shepherd’s Monument in Staffordshire, besides having its signature sculpted re-creation of Nicolas Poussin’s “Arcadian Shepherds”, also boasts a sequence of letters beneath the carved spectacle. The letters are, in order: D O U O S V A V V M. Nobody knows who carved the letters, nor what it signifies. However, what makes it even more intriguing is that, for 250 years, this cipher has eluded decryption, despite having been attempted by some of the greatest minds of the world including Charles Dickens and Charles Darwin. On the 15th of January, 1947, what appeared to be a broken mannequin was found in a vacant lot in Los Angeles; closer inspection showed that it was, in fact, a human body, cut in half at the waist and drained of all blood. And this discovery catapulted what was dubbed as the “Black Dahlia Murder” into full media glare, capturing the fancies of the people. 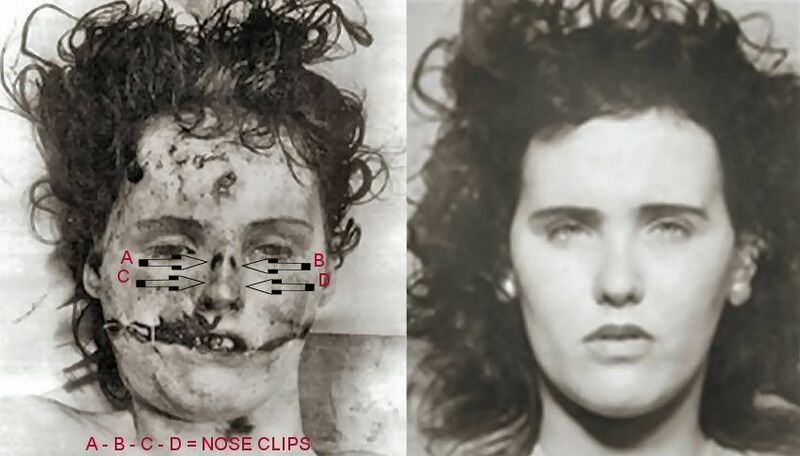 The victim, 22-year-old Elizabeth Short, was a Hollywood hopeful. According to the report that was released, the cause of her death was blunt-force trauma to the head; there were several cuts across her pubic area, and a knife was used to make gaping gashes in her cheeks from each corner of the mouth. She was brutally beaten, and the killer scrubbed her body clean; by far, one of the most brutal and cold-blooded murders ever committed. In August 1587, a group of about 115 English settlers arrived on the coast of present-day North Carolina, settling on Roanoke Island. Later that year, the governor of the settlers – a man by the name of John White – was chosen to sail back to England and collect fresh supplies, bringing them back to the new colony. However, just as White arrived, the battle between England and Spain broke out, and every ship available was called on to assist in confronting the Spanish Armada. 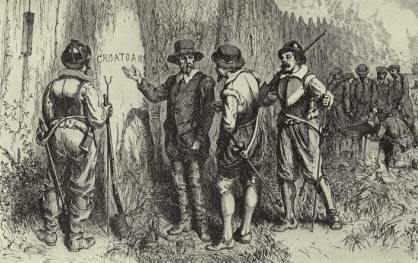 When finally White returned to Roanoke Island in 1590, he found that the colony and all its inhabitants had disappeared; the only clue left behind was the word “Croatoan” carved onto the trunks of two trees. Next article These 12 strange and bizarre creatures look like they don’t belong to this planet. These 12 strange and bizarre creatures look like they don’t belong to this planet.